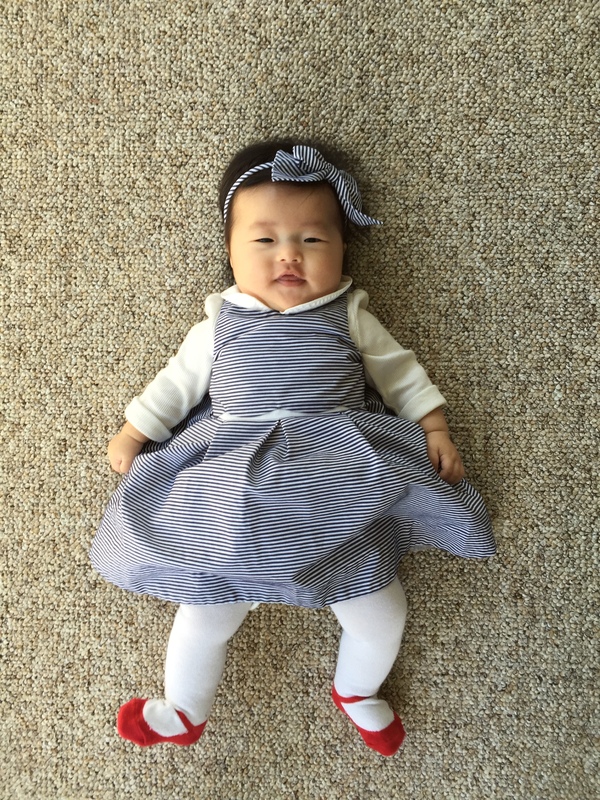 baby girl is already 2 months old. cannot even believe it. i wish these pictures were bigger in size. if i try to stretch them or change the dimensions, they come out blurry so i have to leave them as they are. the above photos were taken on the 14th, the day before her two months’ milestone. i began taking photos on the 13th just in case they didn’t come out well or she was being fussy. even with filters, the lighting in the first photo is a lot better than the above. 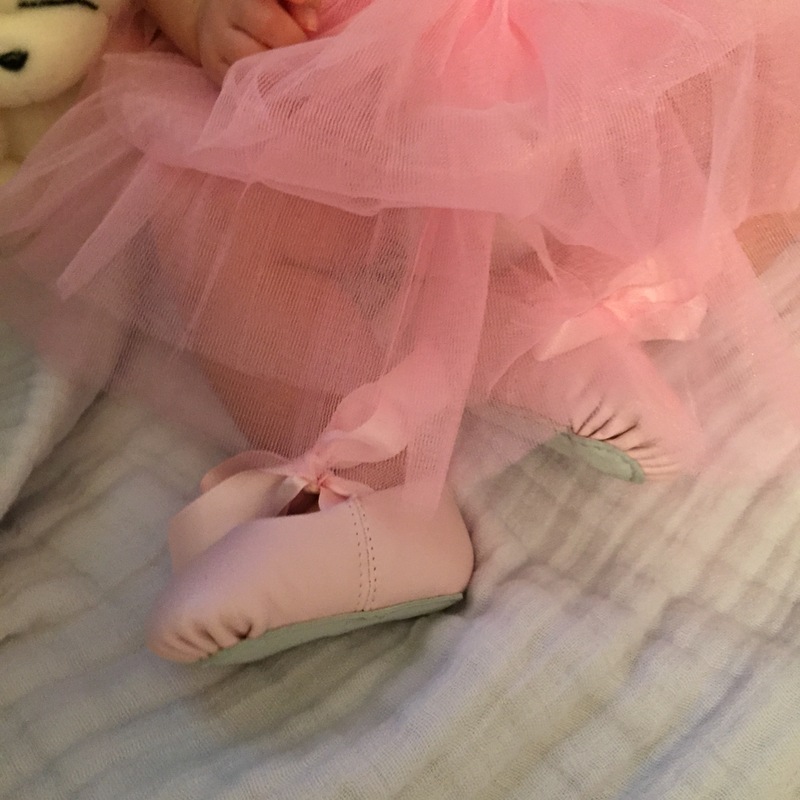 the ballerina slippers were a gift and are so adorable. they’re still too big for her so i left the tissue paper in the toe area so they wouldn’t fall off. 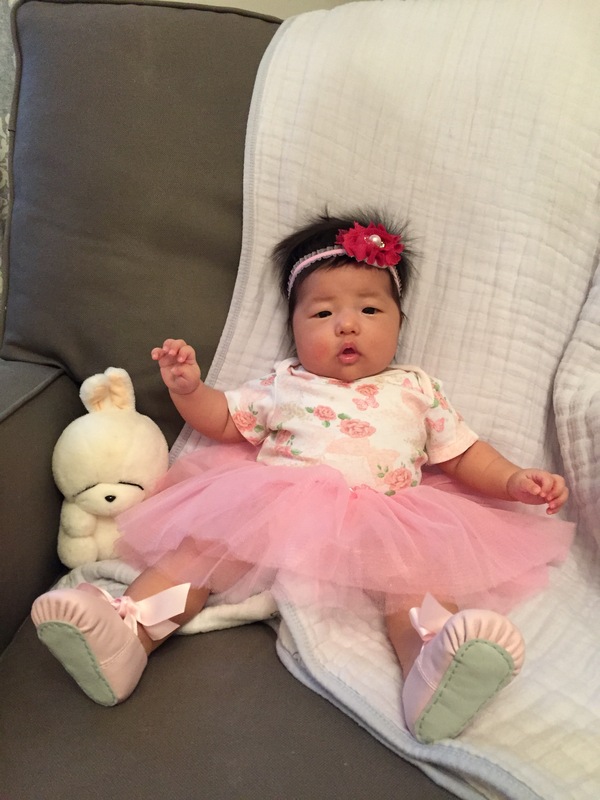 my cousin got penelope the pink tutu and a coworker gifted the ballerina slippers – perfect! in fact, penny’s entire outfit were all gifts. we were very lucky to not have purchased most of her clothes. not only is she growing in size, but intellectually as well. it seems as if she’s learning something new every day. 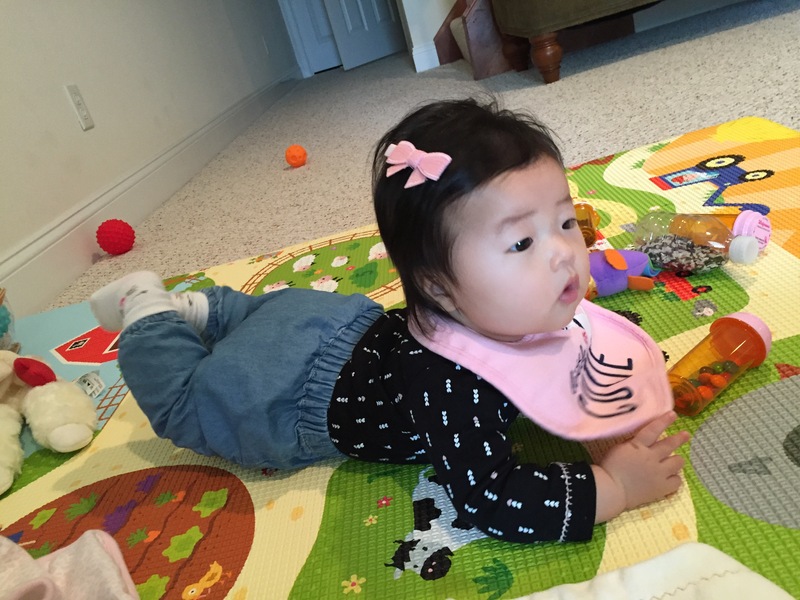 i try to keep up with recording her milestones but it’s difficult to do when there isn’t much spare time. 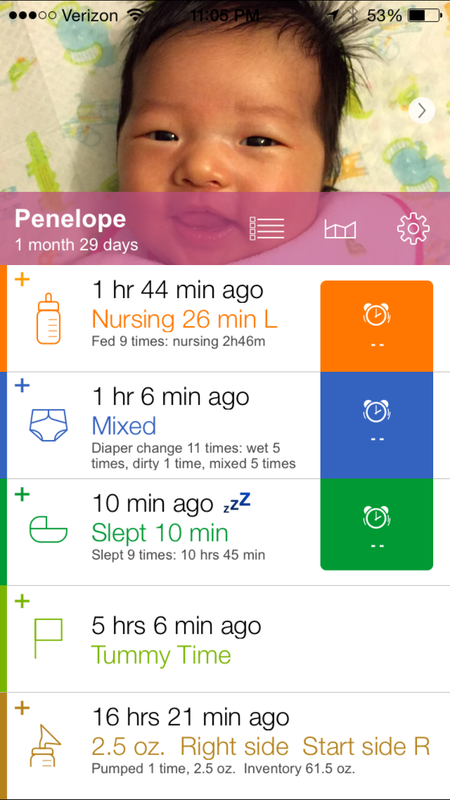 penny has been sleeping through the night – hooray! 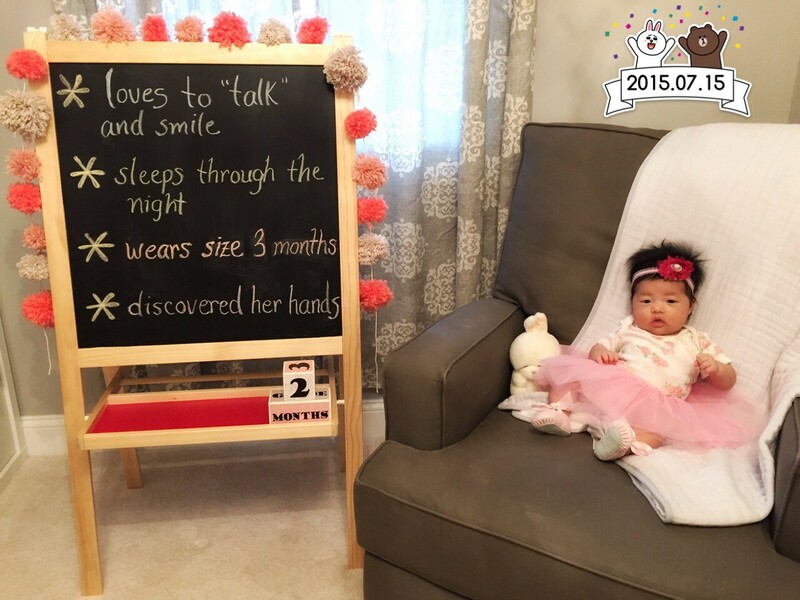 – since the 7-week mark but her daytime naps have been decreasing. a speculation may be that the daytime naps are declining because of the increase in nighttime sleep but newborns are still supposed to get a good amount of daytime nap hours as well. 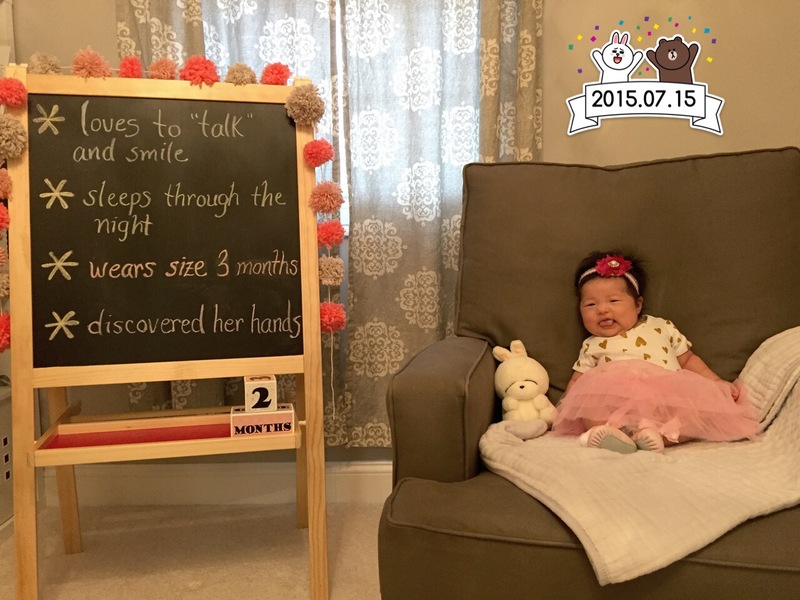 by a “good amount”, i mean that two-month-olds supposedly should be napping about every 1.5 to 2 hours. 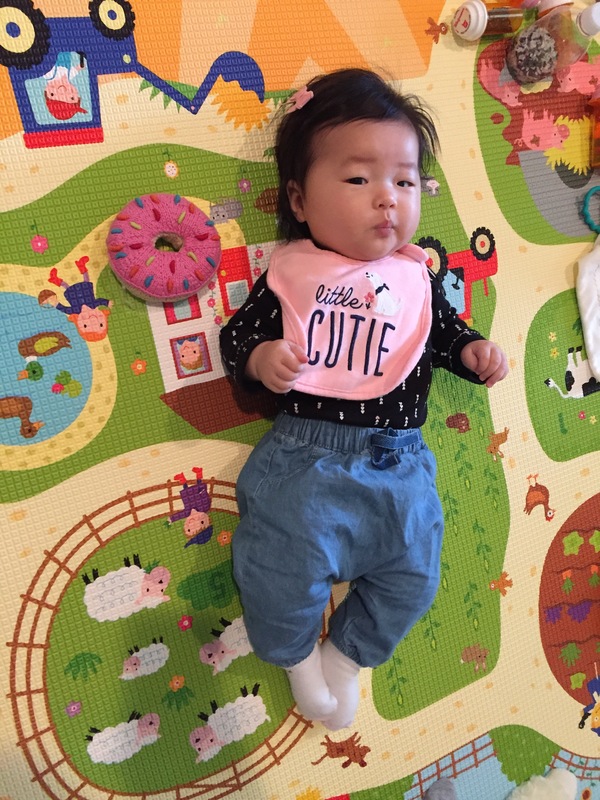 penny had been doing this up until week 6. in my previous posts, i discussed how the 6-week growth spurt was a tough hump to get over… and i thought we were done with the cluster feedings and short naps. 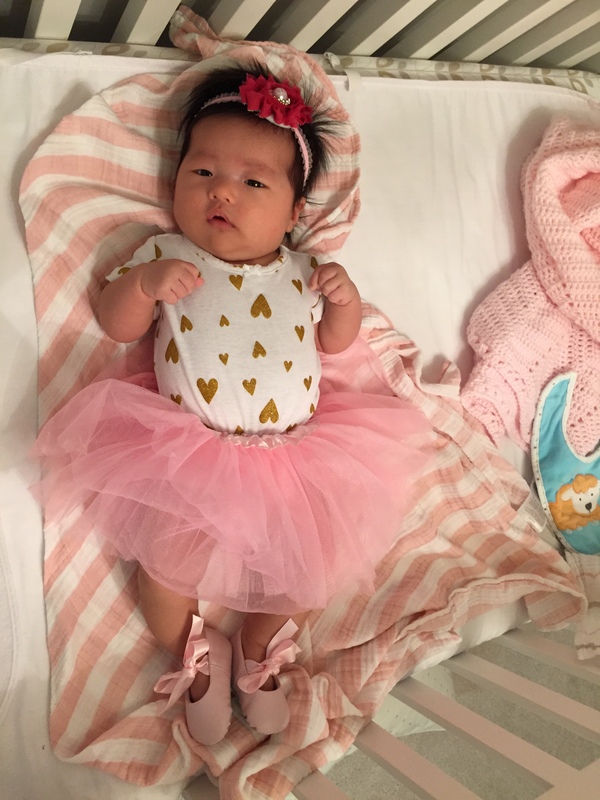 well, it turns out that though the sixth week can be brutal one of the baby’s major developments can span from the 6-week mark to the 8-week mark. of course all babies are different but they’re right on the nose for penny. again, i wish these images were bigger. i did stretch them a bit so they’re blurry here. 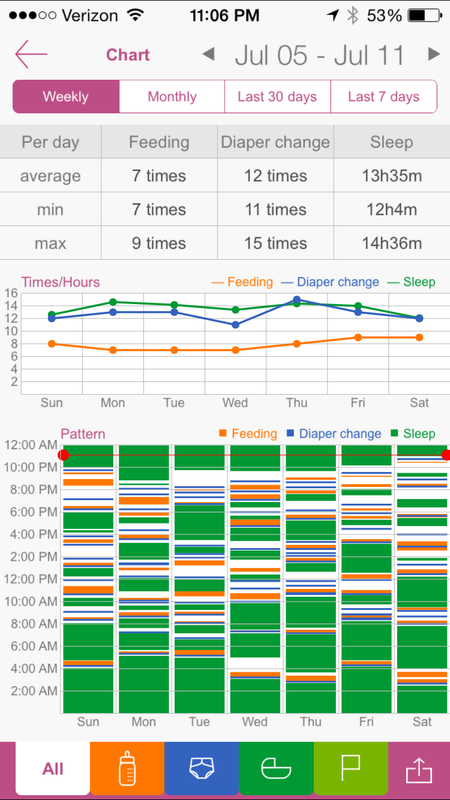 i love this app because i can track her feedings, diaper changes, sleep, activity/milestone, and pump sessions. there’s also a week-by-week graph to compare the stats so you can notice any patterns. 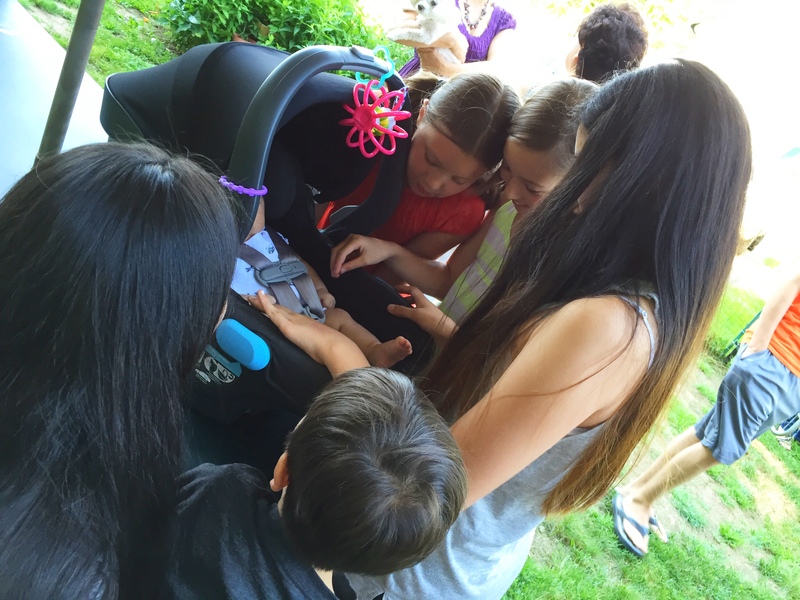 penny was finally able to meet most of her extended family last weekend. we went up to massachusetts on saturday to attend my cousin’s (technically, first cousin once removed) high school graduation party. it was great to see many of my family members and have them see penny for the first time. the commute was a nightmare initially because of standstill traffic due to an accident. we were 4 hours late for a housewarming party in new hampshire that we were planning to go to first. granted, we did leave the house around 1:15 but we arrived at my cousin’s graduation party around 4! penny was tired because she didn’t really nap in the car (she needs the car to be in motion and much of the time was spent crawling at a snail’s pace). 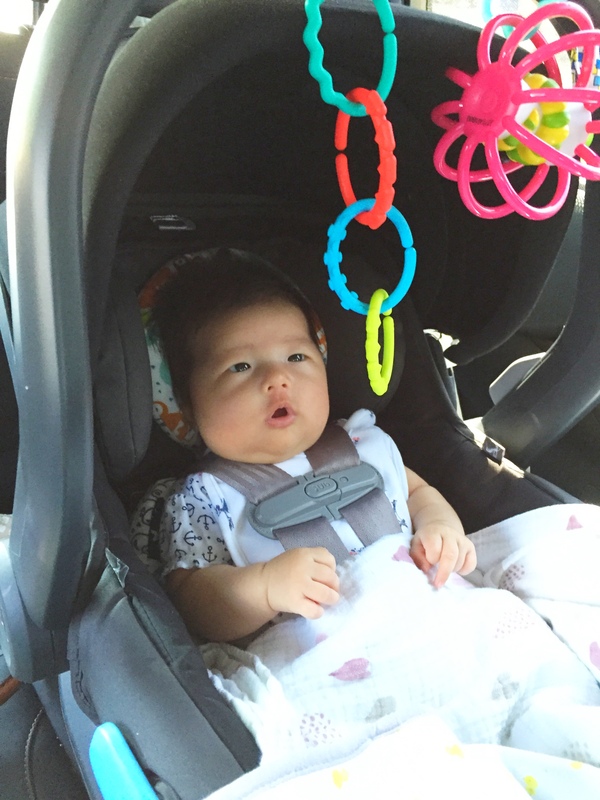 her feeding time arrived and since we were going so slowly, i ended up nursing her in the backseat. not safe, we know but it had to be done. i also had to change her soiled diaper on the car seat while i sat on the floor. good times. the girls kept commenting on the smallness of penny’s hands and feet. she was overwhelmed and stimulated, to say the least. 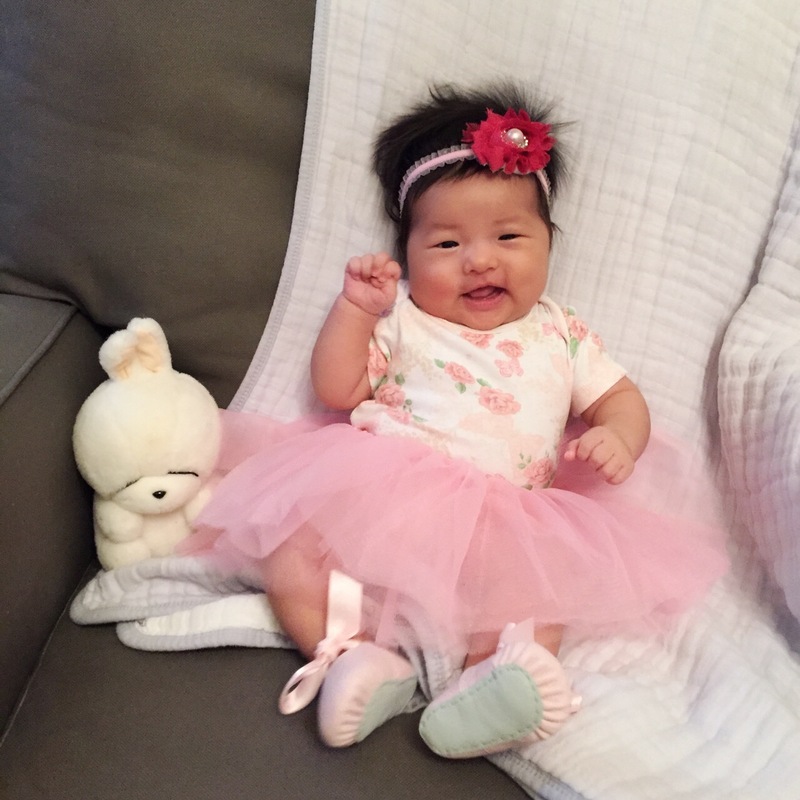 being a first-time mom, i’ve been tired and overwhelmed. lately, i’ve been slowly going out more and resuming my social life. 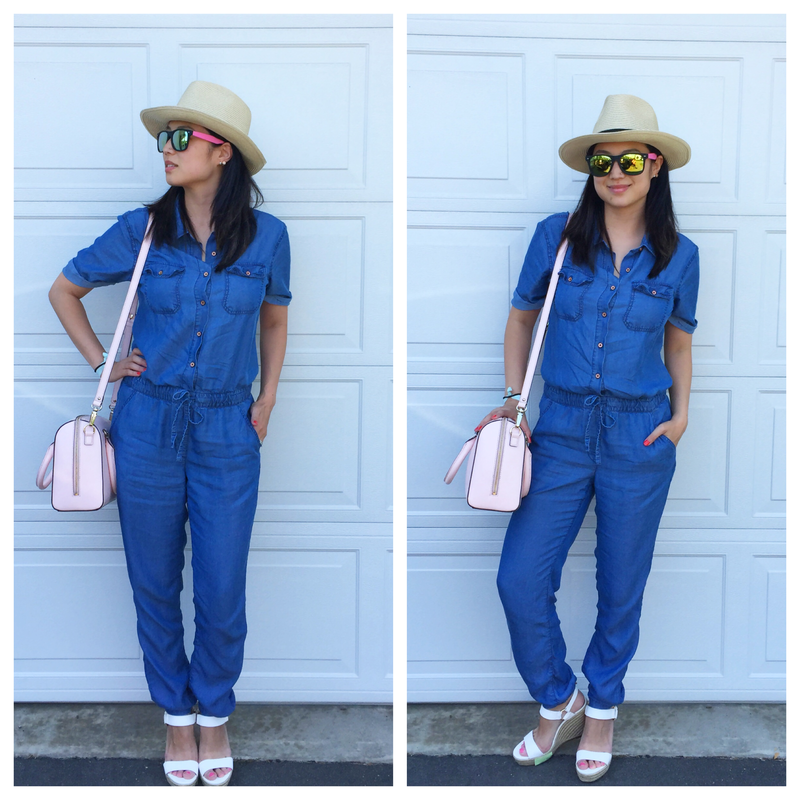 i purchased this chambray jumpsuit maybe 3 weeks ago and i finally got to wear it last saturday. 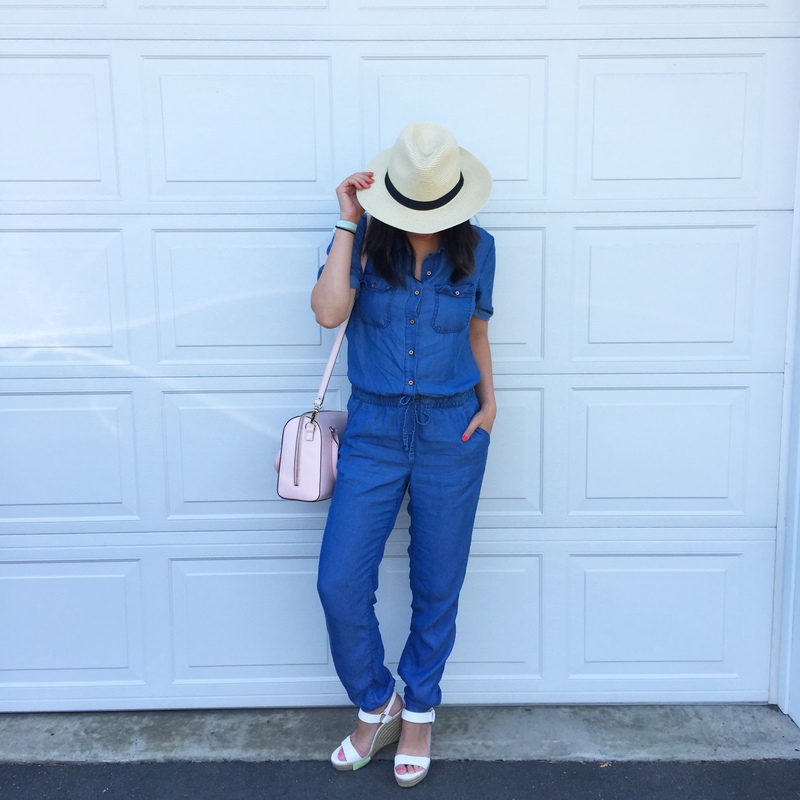 the espadrille wedges were purchased before penny was born and they made their grand debut at last. the reason we left our house late was because penny was sleeping. never wake a sleeping baby! sleep is so precious.. for everyone. 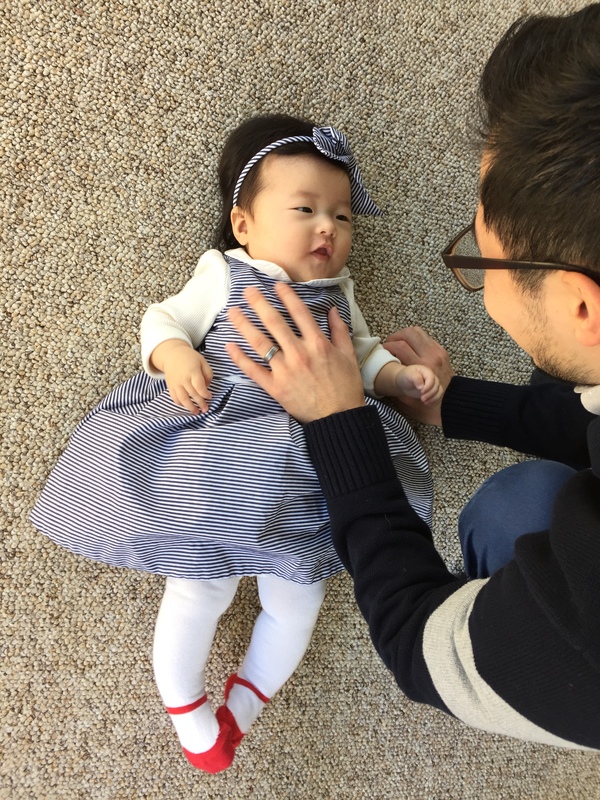 when she finally woke up, i nursed her and we tried to leave as soon as possible so she would be in a good mood and she wouldn’t have to eat in the car (that didn’t happen). at least we were able to take advantage of the sale target was having on baby items. we spent $200 on baby items (diapers), so we got a $40 gift card. for every two diapers (had to be same brand and size), we also received a $15 gift card. organic brands = $10 gift card. 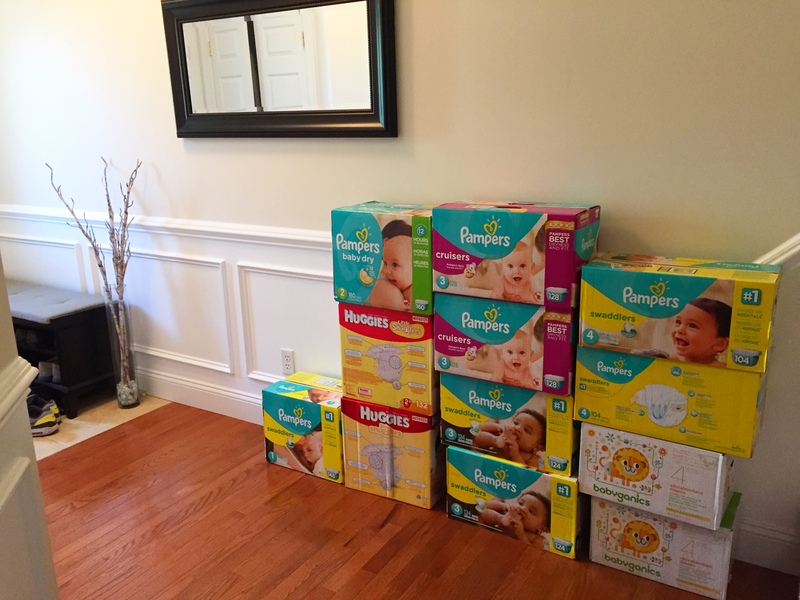 we got $80 in gift cards and then purchased more diapers with them… and got more gift cards. penny’s currently wearing size 1 so we purchased sizes 2-4. interestingly, size 4 was sold out for pampers and huggies so i purchased babyganics instead. penny’s 100th day is august 23rd and i’ve slowly started gathering ideas on how to celebrate it. long ago in korea, childhood diseases were common and infant mortality rate was high. 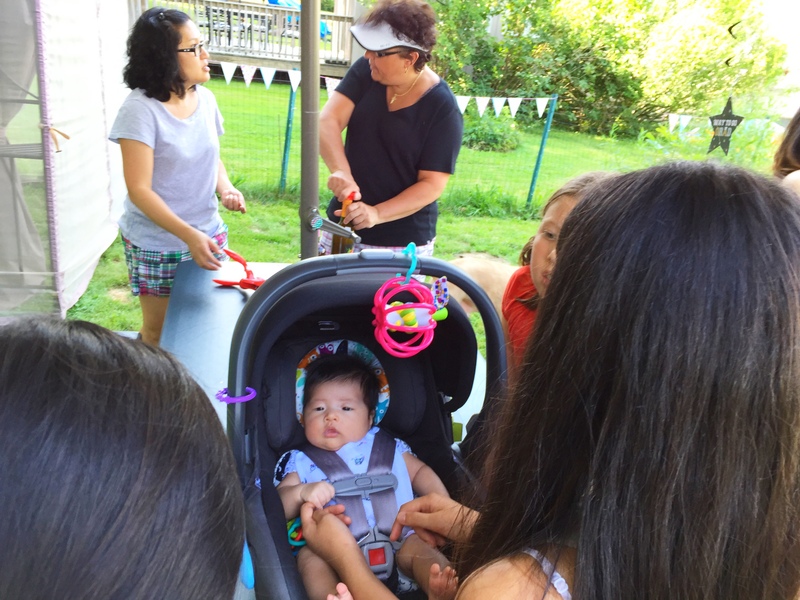 to protect their children, parents wouldn’t bring them outdoors until their 100th day. 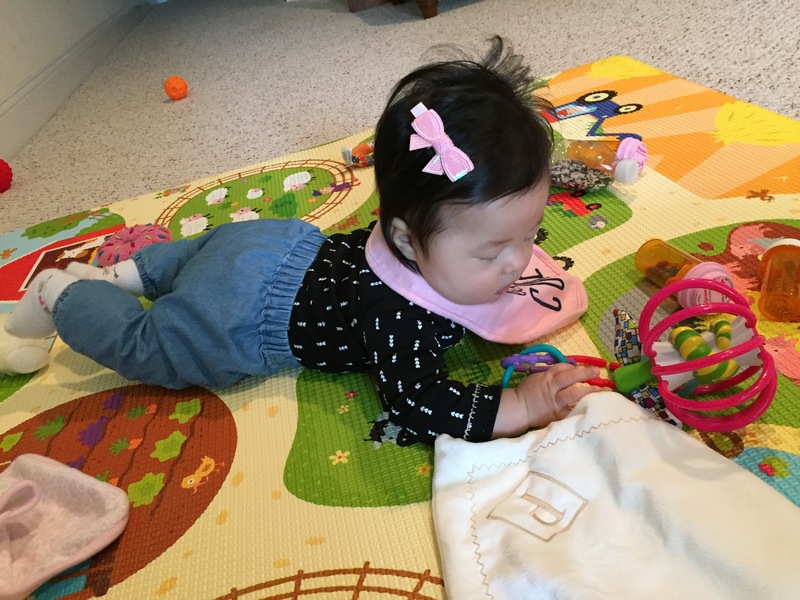 the 100th day celebration is a way to celebrate the baby’s health. today, many celebrate it because of tradition but more so for photo opportunities. with pinterest and instagram in our lives, it’s easy to want to go all out and make everything a big deal. we plan on having the 100th day celebration be family members only. the first birthday, or dol, will be the grand(er) party.